Make an investment in your business’ future. Your Visit Corvallis Membership fees go directly towards marketing activities that will help build business for you! Your membership dues may be deductible as a business expense, check with your tax professional. Visit Corvallis’ marketing strategy includes print publications, television and social media outreach. You can reserve your ad space online by clicking this link. One of the big benefits of becoming a Visit Corvallis member is discounts on print advertising! If you join Visit Corvallis, you’ll get a full 20% off your ad in the 2019/2020 guide. Membership in Visit Corvallis is handled by Visit Corvallis staff, the Visitor Guide is custom published by Willamette Life Media, so go ahead and place your ad order with us, and submit your membership application. Billing for Visit Corvallis membership will come from Visit Corvallis. Contact Visit Corvallis for pricing information. When you get to the checkout page, enter “MBR20” (without the quotes) in the coupon code box, and you’ll get your full 20% off! 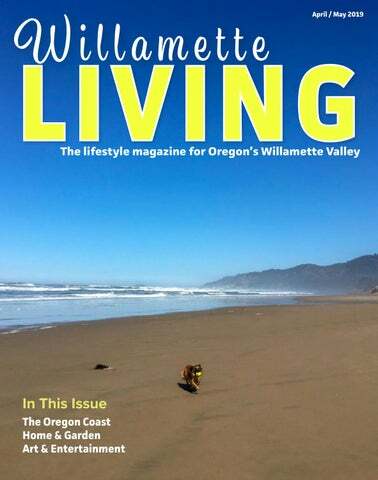 The guide is printing in the first week of April, and we’ll need your materials in by March 20th, and like all Willamette Life Media publications, if you need some help with your ad, just ask! NOTE: If you take advantage of the discount available to members, and then fail to complete your membership application, you will be invoiced for unearned discount amount. Submit your application for Visit Corvallis membership below. Once you submit your application, Visit Corvallis will contact you for payment arrangements.